Microsoft outlined the 'Your Phone' app functionality back at its Build 2018 conference in early May this year. It claimed the app would start to roll out to Windows Insiders shortly. The core functionality of the app would allow instant delivery of text messages, photos, and notifications that pop up on your phone - to your PC. Yesterday, as part of the Windows 10 Insider Preview Build 17728 (RS5), 'Your Phone' was highlighted as a key feature that will be rolling out to Insiders soon. "You love your phone. So does your PC." The Your Phone app in Microsoft Windows 10 Insider build 17728 will soon get a range of new features for Android (7.0 and newer) users. You will be able to set your Android recent photos to sync with your PC automatically. 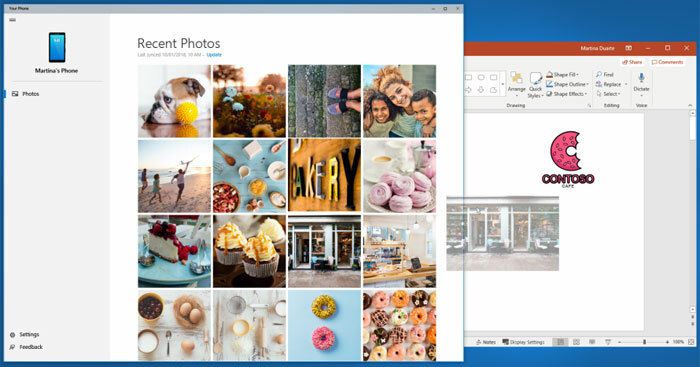 That will enable easy drag-and-drop functionality in your Windows productivity and social media applications. 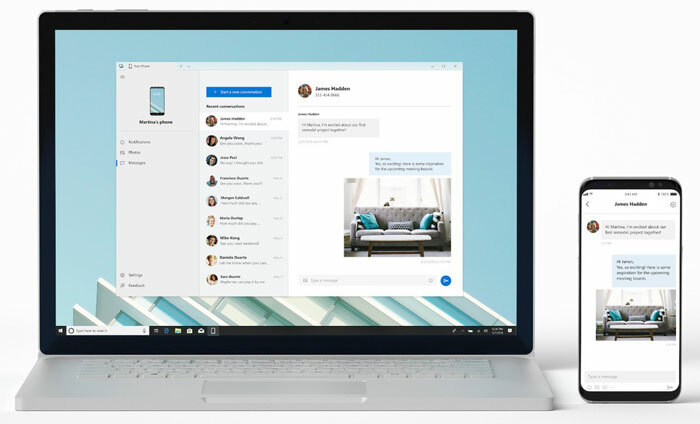 In coming weeks Microsoft says that the Your Phone app becomes even more central to your PC via a desktop pin - for quicker phone content access. iOS users, iPhones and iPads, will get lesser functionality to start with. The PC link will initially only be useful for instantly sharing web pages you are browsing on your mobile device - to your PC. Your Phone works when the PC and mobile are on the same network. We aren't sure when all the other promised Your Phone functions will arrive on either platform. Narrator is the screen reading app built into Windows 10. The Narrator allows users to complete tasks on their PC without a display or mouse and is a particularly attractive function of Windows 10 for the blind, or people with limited vision. Narrator responds to voice commands and speaks back, reading dialogue boxes, content and more. In Windows 10 Insider Preview Build 17728 there are a plethora of Narrator improvements, from its reliability, through its modes, and to keyboard /Braille command changes. There is an online word document which takes you through all the changes and you can view it here. Elsewhere in the build 17728 Insider update there are, as usual, very many bug fixes and a long list of known issues - all to be fixed on the road to the RS5 general release. Interesting - the big question though is whether this will work by just installing an app/service on your phone, or if you are still forced to use the Microsoft Launcher on your phone for it to work. Its not that ML is a bad launcher (its actually pretty good) but it ties you in so heavily to the Microsoft services that it's just not as good as the Google Pixel launcher. Bing is still awful, cortana just isn't as good as google assistant and i've no interest in moving from google drive to one drive. All I really want is the ability to sync messages/notifications onto my windows PC…which can can do right now, but only with their launcher :( Will try it out when I get the update anyway! That's my concern, too. I wouldn't mind having desktop integration with my phone, but that doesn't mean I want the Borg to assimilate my phone. Aside from the Borg that built the OS? Sure, but at least I can replace Google components on my Android phone, as evidenced by the Microsoft Launcher being a thing. Replace yes, remove or deactivate entirely… Not so much.